Product weight is 0.35 lbs. 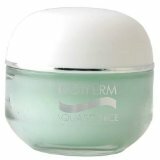 I cant belive i received such item with paying two day shipping ..
Biotherm Aquasource Deep Hydration Replenishing Gel ( Normal/Com..
i bought this lotion from All Beauty and it was not the same as the Biotherm one. The packaging was the same but there was a difference in texture and smell. I have been using Biotherm for years and since the price jumped i looked for alternatives and will just have to wait for sales from biotherm cuz this was a complete waste of money. I love it and glad that I desided use this product during the summer! Very rich and waitless moisturiser for normal/ combination skin like mine. Of course , for winter I will use the Aquasource Therapie lotion/cream, but during hot summers days Replenishing Gel is perfect solution for the face skin of those who are after 50!